There’s always elegance to a design which mixes up both old and new influences in one package. This is the case with the Leica Q (Typ 116) which is a 24MP, fixed 28mm f/1.7 Summilux stabilized lens with a full frame sensor. The design is in the same flavor as the M-series rangefinders and sports an electronic viewfinder and touch-sensitive screen, which works alongside control points for the best of manual and electronic functionality. Compact design, full frame sensor, and Leica’s usual high-quality lens mean ultra-sharp images, with manual or autofocus. Aperture and shutter speed have their own dials or the option to have everything in auto mode. Everything here looks like it could make for a very fun camera which can produce professional results. 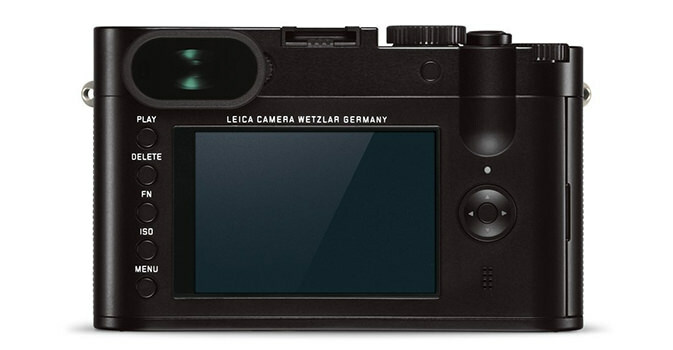 The Leica Q has a rangefinder-style design and a Leica quality 28mm f/1.7 lens, the body is made out of magnesium and the top is milled aluminum with the buttons having a metal feel. There are just enough dials and buttons to cover common functionality. Simplicity and compact design is definitely the aim here, like the shutter button also being for the different drive modes. ‘S’ for singleshot, ‘C’ for continuous mode and ‘Q’ for blasts of 10 fps. The lens design feels very old school with aperture settings on the lens from f/1.7 to f/16. You have a focus ring, depth scale, and a toggle for macro mode. The lens has image stabilization with 11 elements in nine groups with three aspherical elements. The Q has only one lens element and is moved with no motor noise which may be something to note when shooting video. The back of the camera is also simply laid out with a play, delete, FN, ISO, and menu button. You get a four way controller for moving AF points and a nice thumb indent to make that small, compact body feel more secure in your hand. There’s also a little finger rest of the bottom of the lens, which helps with manual focusing. When it comes to the controls of the Leica Q, there are definitely some quirks. The rear dial controls exposure compensation, but when you set the shutter speed with a dedicated shutter dial, the rear dial than swaps to controlling the shutter speed. The only way around this is to assign it to the Fn button. The rear control dial basically cannot be customized. Autofocus you have to dive into the menu to change. More customization options would have been nice. As the touchscreen does a lot of the heavy lifting, the zoom feature can be quite pedestrian in use. You cannot fully turn off the touchscreen, with no functionality during shooting unless using Touch AF + Release modes. There is a five page list of all the options on the Q. Quite lengthy, it could be split up into subcategories and has some weird naming conventions, but they are easy to flick through on the touchscreen. 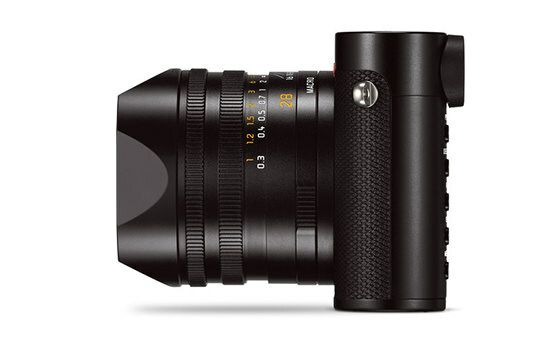 One plus point is the the manual focusing ring with hard stops. Magnification and focus peaking will help you gain focus along with the finger rest which acts as a locking mechanism. That could come in very handy in extreme light conditions. The Q comes with a fairly large battery that will last you all day and the benefit is that it is the same unit that’s used on quite a few Sigma and Panasonic cameras. So, just like any camera, always pick up a few spares. The Q can pair to a smartphone using the Leica Q app, allowing remote shooting with plenty of adjustments. Video settings can also be adjusted by the app. The video mode doesn’t offer 4K, but you do get 1080/60p with smooth quality and help from the image stabilization, with pretty decent results. As with the stills mode, it’s probably best to keep the single point AF or manual focus for video. You can’t touch to focus in video mode, but you can adjust the aperture as long as you do it before filming. Video is fine for casual use, but this is predominantly a stills camera. A 49-point autofocus system with contrast detect, single and continuous AF and AF area modes is very responsive and quick. Single autofocus and continuous autofocus work in completely different ways. In reality, you will probably use single AF the most with the four way control as it’s very fast. But, you do have the option of Single-point and continuous autofocus, Multi-point continuous autofocus and Face detection continuous autofocus. Once enabled in the menu, image stabilization should give you a couple of stops extra, even good enough down to an eighth of a second. Auto ISO allows you to set the upper ISO limit and maximum shutter speed. There is no doubt that the Q produces rich, high-quality images and gives a nice link between old style operation with modern convenience. In low light, the autofocus is still accurate only needing to move one element. It does have advanced features like face detect, but these are optional leaning towards more straightforward functionality. If 28mm seems quite wide, than you can crop down but there is plenty of resolution here, if this is what you need. JPEG quality and color is neutral in most situations, with some reports saying greenness of the yellows comes through. You may want to stick with raw files to get the most dynamic range on a regular basis. The Q works well in low light with a top end ISO of 50,000 and 12,500. You will get some banding at 12,500 but noise is acceptable. Full frame compacts are sparse in the market. The nearest equivalent are the Sony RX series full frame cameras and Fujifilm X100 with a APS-C sensor. The Q has some great points and some not so great. You can’t fault the lens quality or full-frame sensor, along with the fast Single AF. Controls are well laid out, but not much customization. The touchscreen isn’t as responsive as you would like and can’t be completely disabled. You’ll just have to get used to this way of working. It’s clearly a quality product which you would definitely pick up if you have the money, but not sure it could replace the overall functionality of a good DSLR and prime lens, especially when you consider what you get for the money, which is usually the bottom line for any photographer. If money is no object to you, then definitely get one. 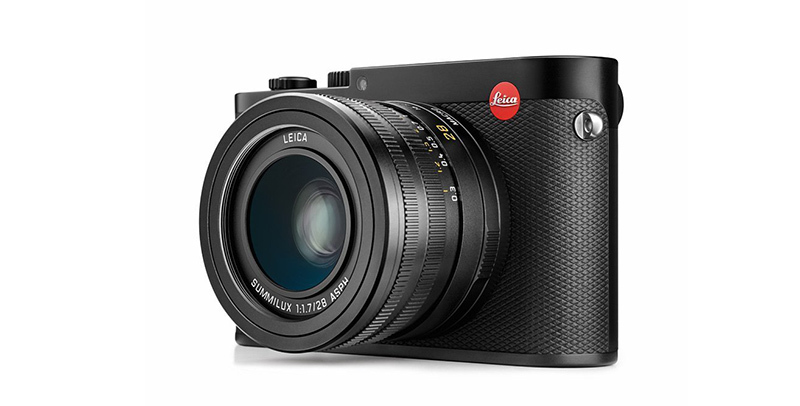 The Leica Q2 has also been recently released.